Mules N' Honey: The Chimney Rocks! 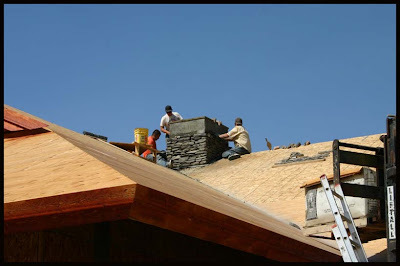 The chimney was the main focus on the house today. Ryan, Oscar, and Ammon R. worked hard today. 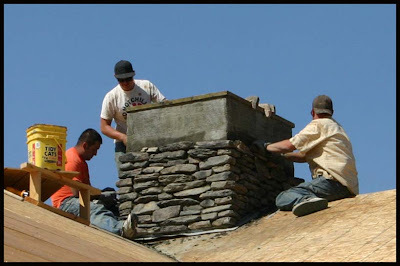 After staining/oiling the fascia, they got to work putting the stone on the chimney. 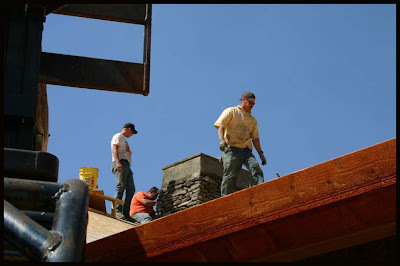 After the chimney is finished, I believe the next step is a drip flashing around any horizontal fascia, and then... duh-duh-dun.... the roof!